Join us for the feast – a warm meal with good friends, followed by an informal time of worship through song, scripture and prayer. 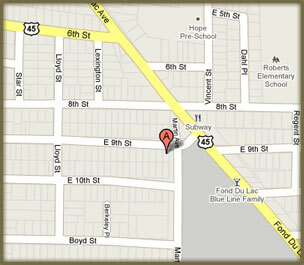 Our worship gathering is held at the corner of 9th St. and Martin Ave., near the Fond du Lac County Fairgrounds. Parking is available on the street.